Home » Mellow Moments » Sights in Budapest: check this out if you have some free time! Sights in Budapest: check this out if you have some free time! Every corner of the capital is in its own way a real specialty, so it is definitely worthwhile for anyone to pay a visit to Budapest! We have put together a route in the heart of the city, which can be easily reached within a few hours’ walk. During the tour you can embark on the cultural, culinary and architectural masterpieces. The wonderful sights in Budapest will surely offer you a pleasant and unique experience. Let’s see where do we start! Start the tour from the Parliament! 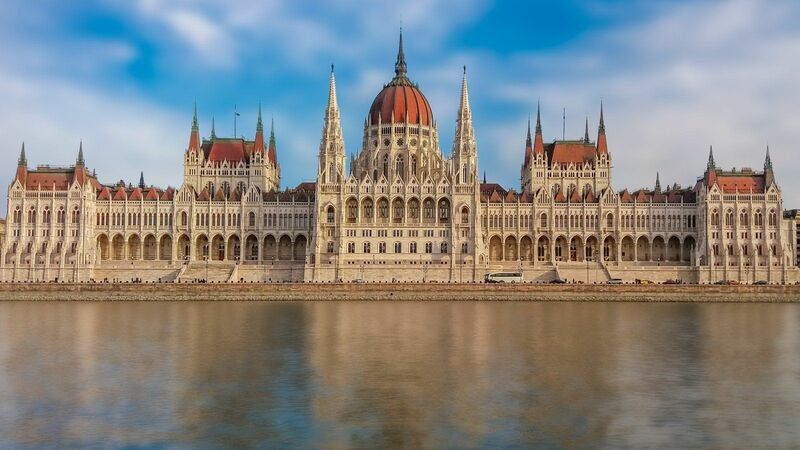 Kossuth Square is where you can find the largest building in the country, the Hungarian Parliament Building. The 691-room building was designed by famed Hungarian architect Imre Steindl, 268 meters long and 96 meters at its highest point. The Neo-Gothic structure was built at the turn of the 20th century and has been renovated in the last few years so today it can be seen in its true splendor. For this Parliament portion of the tour, Hungarian coronation insignias can also be seen: the Crown of St. Stephen, the royal scepter, the orb and the coronation sword of the Renaissance. We can not see the coronation mantle here because it is kept in the Hungarian National Museum. The neighborhood of the Parliament is exceptionally beautiful, with several sculptures throughout, which have played an important role in Hungarian history. In the pedestrian area, you can take in the monumental building and the spectacular view of the Danube. You can walk along the promenade to Szabadság Square, an iconic spot in downtown Budapest. In the summer, hundreds picnic in the square, and in the evening it serves as an venue for conversations among friends. For larger sports events, such as the World Cup or the European Championship, Hungarians can cheer on their favorite team at the Szabadság Square. There are numerous monumental buildings surrounding the area which also contains trees, benches and playgrounds. The Budapest Stock Exchange was built at the beginning of the 20th century according to the blueprint of by Ignác Alpár. The building was home to the Hungarian Television until 2009. As opposed to the Stock Exchange, the United States Embassy in Budapest has been owned by the US since 1946. The building with two blue dome houses the Swabian house, which formerly operates as a café and nowadays as a dwelling house. It is worth knowing that Szabadság Square is not only interesting on the surface but also beneath it. Particularly below the square, the Rákosi bunker is 39 meters deep, built in the 1950s and 60s to protect against an atomic attack. The construction of the whole secret bunker took place parallel to the 2nd subway. The two networks were in direct contact with each other, so in case of danger, it would have been possible to pass through. The approximately 3500 square meter bunker could have protected 2200 people, but luckily, it was never necessary to use it. 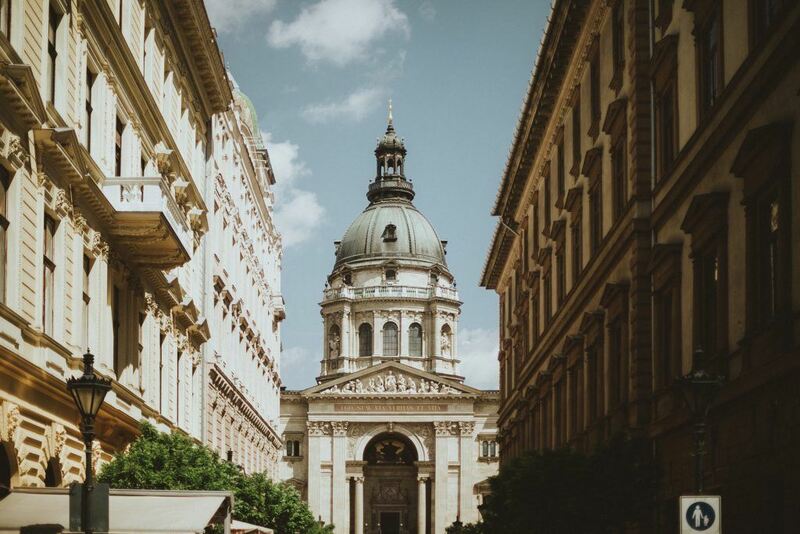 Along the way to Deák square, it is worth seeing and climbing St. Stephen’s Basilica. The 96-meter-tall building is one of the tallest in the country, and Saint Stephen’s intact right hand, the Holy Right, is kept here. You can walk up the stairs to the top of the Basilica, or even in an elevator, revealing an exceedingly beautiful sight from above after leaving behind hundreds of steps. It is good to know that we can see even farther from here than from the Ferris wheel on Erzsébet square. The Erzsébet Square and Deák Square are favorite places for young people in Budapest. During the summertime, the areas are filled with people in the evenings, and we can witness the sparkles of life in the squares. If you want to get out in the open during the tour, this is the perfect place. You can choose from many restaurants if you prefer to sit in a comfortable chair instead of walking. The Aquarium Club or Fröccsterasz awaits you with fine drinks and pleasant music. If you want to have fun in the evenings, the party district and its surroundings are the perfect choices for accommodation. The Atrium City Hotel, the Baross City Hotel and the Star City Hotel offer welcoming and modern design for all travelers, while backpackers would be right at home at the Marco Polo Top Ho(s)tel. Walk around the Jewish quarter of Pest! The VII. district since the turn of the millennium has been known as the Jewish quarter of Pest. Since the 19th century, this area has been the center of the Orthodox Jewish faith in Budapest: the Great Synagogue, the Rumbach Street Synagogue and Kazinczy Street Synagogue. During World War II, in 1944 the “Great Ghetto” was formed in this area, where nearly 70,000 Jews were housed. At that time, the non-Jewish population was evacuated from the area, and so many dwellings became uninhabited, in which the famous ruin bars of Budapest began to appear a few decades ago. The Dohány Street Synagogue is the largest synagogue in Hungary and Europe with its 1200 square meters. The Synagogue is still an important venue for the Jewish faith in Budapest, and in addition, Budapest plays a significant role in cultural life, as it also hosts concerts and festivals. The Astoria is next to the Károlyi Garden, one of the oldest public parks in the city center. The nicely cared for and pleasant atmosphere of the park is not only unique in Budapest but actually a miracle. Coming from the capital’s whirlwind, the tiny green island can offer peace and relaxation to anyone. In the park, there is a playground for children to have fun, and in the back of the crowded area, there is also a bunny. In the neighborhood of the Károlyi Garden is the Quiet Café, which never fails to offer new surprises and mysteries to its guests with its eclectic interior design. Walking along the tour, you can discover the buildings of the Eötvös Lóránd University, the Hungarian National Museum and its pleasant garden, the Calvin Square, the beautiful Ervin Fővárosi Library and many antique stores. To reach Fővám Square and the Central Market Hall, it is worth looking around. We can almost say that one of Budapest’s most peculiar places is the huge market. The largest indoor market in the capital opened to customers in 1897. The building with a floor area of 10,000 square meters features Pecz Samu’s work and Neo-Gothic features. The hall of the steel structure has a unique effect, and the ceramics of the Zsolnay factory in Pécs are visible at the top. It is worth noting that there is a significant difference between this and other markets. This is due to the fact that the construction of the building is aligned with the surrounding streets, which means that each stack supports each other at different altitudes. Entering the market, you will be greeted by colorful booths, shops, mouth-watering snacks, the freshest vegetables, fruits, cheeses, bakery products and meats. If someone gets hungry during the sightseeing tour, you must check out Divine Foods at the Central Market Hall. From Fővám square we can head on the Liberty Bridge over the Danube to the Buda side and reach the biggest shopping and walking street in Budapest, Váci Street. It stretches for 1.5 kilometers to the Vörösmarty square, where we can go for a walk through the huge Christmas market booths. Váci Street offers many historical buildings, gastronomic specialties, luxury fashion shops and comfortable hotels. In the shopping street, the four-star La Prima Fashion Hotel, the Estilo Fashion Hotel are waiting to serve their guests. The Promenade City Hotel and the Cosmo City Hotel provide a three-star experience for travelers. The north and south sections of the pedestrian area show a completely different face. While in the southern streets there are quieter restaurants and cafés, the northern part of the island is dominated by throngs of tourists and shoppers. From Váci Street to the Danube Promenade you can see a huge mural displaying a cavalcade of colors. In Budapest, a number of initiatives have been launched in recent years, giving abandoned and degraded firewalls new looks that evoke a unique moment, experience or feeling. Walking through the Danube, we can have a beautiful view of Budapest, which is at its most beautiful in the sunset. You can visit the Fisherman’s Bastion and Buda Castle, which is worth a visit and a pleasant walk among the old castle walls. If you do not have time to do so, you can stay at the Buda Castle Fashion Hotel, 200 meters away, and be part of the Buda Castle itself. 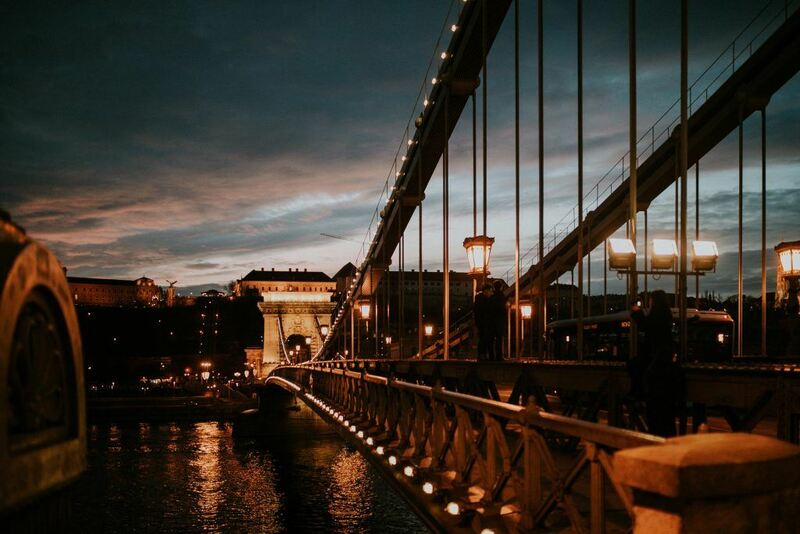 There are countless attractions and special places in Budapest, but if you have only a couple of hours, then the places and attractions listed above are almost compulsory.